Our Stock Design on the front and your custom print on the back. Below "Base Price" is for a one color print on the back. Click the "Options" tab to view Ink Color Chart. Custom colors also available. 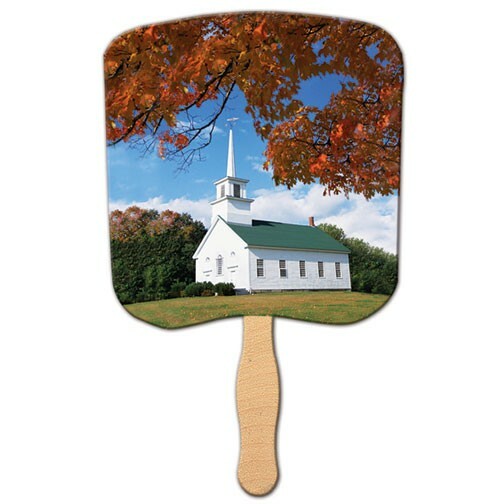 FOR FULL COLOR PRINTED FANS - refer to product #LF-20/RF-912. ** Please note that vector artwork is required for spot color printed fans. Raster artwork / bitmap files, such as jpg's and png files require full color printing.